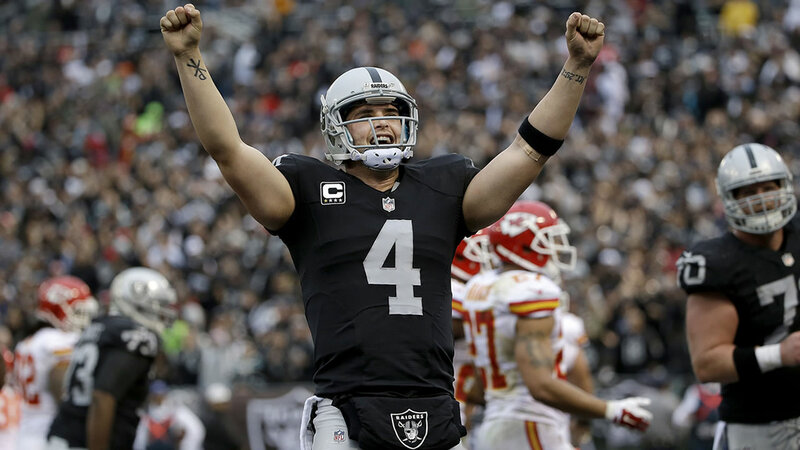 OAKLAND, Calif. (KGO) -- Oakland Raiders quarterback Derek Carr and his wife Heather welcomed their second child into the world on Wednesday night. Carr posted a photo of his son on Instagram and said: "Welcome Deker Luke Carr! You showed up at 11:22p.m. last night on March 16, 2016. 20.75 inches long and 9 lbs 3 ounces! You have been set apart young man and your Mommy and Daddy love you very much! You are someone that will have a heart that seeks after Yahweh's own heart! #Welcome2TheSquad." About a week earlier, Heather posted a collage of photos to her Instagram page, saying: "Waiting patiently for our newest blessing to arrive! Sneak peak of some of our maternity pics!" The Raiders have a good quarterback with Carr. On Wednesday, they re-signed offensive tackle Donald Penn to a two-year deal worth $14 million in another move to fortify the offensive line in front of their young quarterback.